The joyfulness of song is captured in the colors and the design of this pin. The G-clef, the staff, and music notes are in gold and black. 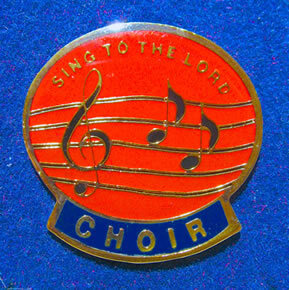 The words at the top of the pin, "Sing to the Lord," are in gold on a red background.